Rome is possibly one of the most important tourist destinations in the world. The Eternal City is rightfully nicknamed as it houses ruins from some of the most important moments in ancient history. Attempting to describe what it feels like to visit Rome can be futile, but we will certainly give it a try! Walking into the Colosseum and the Roman Forum feels like walking back in time. A rush of excitement begins to creep up as you realize how many people have walked your steps over thousands of years. People lie, emperors, knights, merchants, and peasants. People that helped to shape Rome into the incredible empire that it came to be. All of this and more occurred under your feet. The events, fights, deaths and ceremonies that took place within those walls are impregnated within those buildings and can still be felt today. If Rome is not on your travel bucket list, you need to add it now! Most of the monuments and attractions in Rome are within walking distance. The ones that are not can be easily accessed my metro. So, getting around the city and seeing all the sights can be done quite inexpensively! Rome's Free Walking Tours host two of the most popular walking tours in the city: Free City Tour Colosseum & Free Vatican City Tour. All the tour guides are knowledgeable, friendly, and hold a degree in History or Archaeology. 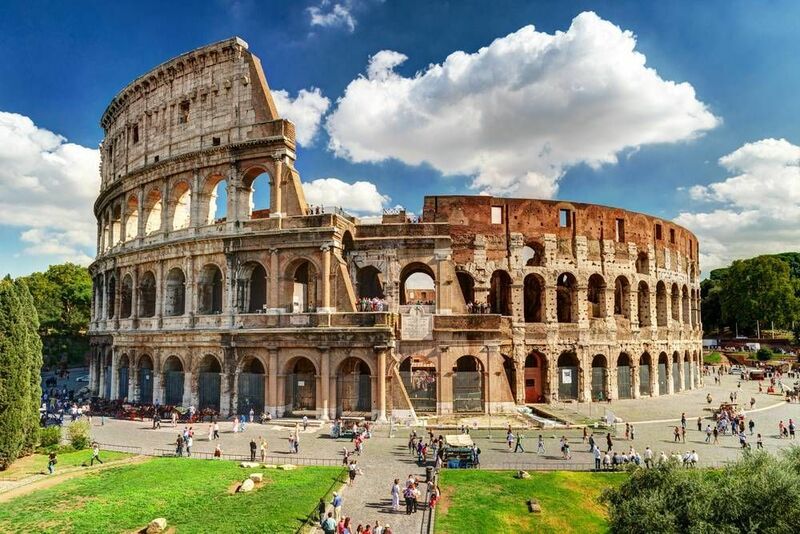 Become engulfed in Rome's history by taking the Colosseum tour. Realize all that the Eternal City has to offer by hitting the main attractions and taking in the fantastic views of Rome. The Vatican City Tour is another free and fabulous tour that will take you in and around the Vatican City. For two hours, tour the famous Vatican City, the heart of Rome, and all of its mesmerizing sights. Held in both English and Spanish, this trip will take from the Spanish steps to the Castle Sant'Angelo and show you the top attractions of the city. Nicknamed the "Original Free Walking Tour of Rome," this is the ideal walking tour for the first time visitor to Rome. Hit the top sights and attractions throughout the city. Book your tour, print out your voucher and meet the tour guides wearing the "New Rome Free Tour" badges. Run by a team of passionate guides who are in love with the city; this tour will give you all the information you need to become a Rome pro. Learn about the city's rich past, incredible architecture, and magnificent sights. The tour lasts for about 3 hours and covers around 3 km. Book your trip in advance to ensure you get a spot! Are you from Rome and want to be a tour guide? Please get in touch by submitting your details on this page!